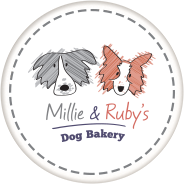 Newly established in 2014, we provide a range of handmade natural dog treats that are free from artificial additives, flavourings and colourings. We do not use sugars or salts and our treats are baked in such a way that we do not need to use preservatives either. Most of our ingredients are organic and sourced locally where possible and we aim to make most of our treats as low fat as possible. We use Rye flour in most of our recipes which is wheat free and low in gluten. 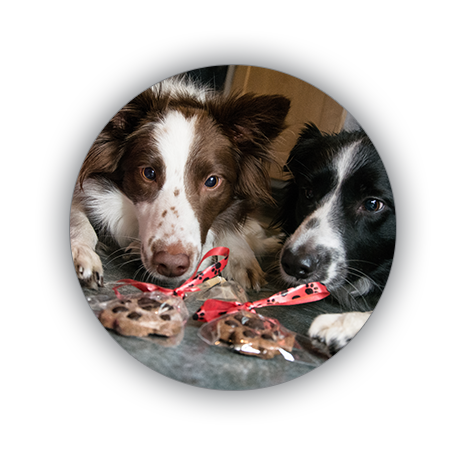 We have a great range of products to choose from in our shop and we’re always adding more so there’s bound to be something that’s just right for your dog. Tia has just had a pupcake from your stall at the food festival - lucky girl, she thought it was amazing! !